While weddings in the US may be at historical lows after the recession, we’re still looking at over 2 million marriages per year on average. The String Quartet format for classical musicians remains one of the primary ensemble types that are regularly hired to play weddings (either services, reception music, and occasionally party music) so the industry for music publishing of wedding music for these kinds of ensembles remains relatively lucrative–especially pop music arrangements. What’s not published will often get arranged by the musicians–the first time I played an arrangement of the Game of Thrones theme was a string quartet arrangement which the group leader had put together himself. After hearing some of the bootleg vids (as well as one which purportedly takes sound directly from the board) of Dave Mustaine’s recent concert with the San Diego Symphony. Ironically, the “trash-metal” title is from Greg Sandow’s blog post criticizing the concert for sandwiching Mustaine between works by Berlioz and Dvořák (amongst other slights Sandow finds with the whole marketing of the concert. I’m assuming a typo, but who knows–maybe it was a Freudian Slip, and it’s a fittingly apt description of Mustaine’s performance. I’d been meaning to blog about this especially given how often those of us who blog or talk about arts organizations and finances discuss economic issues in the field, but as a last minute reminder, Drew McManus’ has blogged about his kickstarter campaign for an Orchestra 990 Database. Converting a decade’s worth of IRS Form 990s into a searchable format along with assigning category filters. The database will begin with the 2003/04 season filings. The database will include all US based professional orchestras with total expenditures of $2 million and higher. 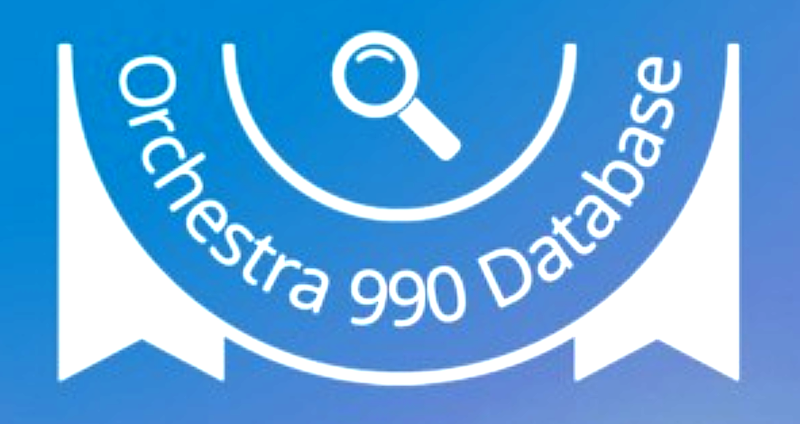 A website that will retain a searchable database of professional orchestra IRS Form 990s. The user interface will provide multi taxonomy filtering to assist with narrowing results (think searching by state, zip, and other custom categories). Users will be able to download copies of documents returned in the search query. Searches and results will be free for all users, all the time. The website will be built atop an open source publishing platform and feature a responsive design, allowing users to easily interface via desktop, laptop, tablet, or smartphone without the hassle of downloading and installing platform specific apps. An L3C will be formed as the entity under which all work and ongoing administration will be conducted (more on that below). For a field which has tons of researchers, pundits, and bloggers making claims about the financial conditions of large arts organizations without the ease of access a project such as this would allow, it would really be nice to have some level of transparency and, more importantly, ease of access to the public and other independent scholars who don’t have significant resources for doing research. Even if this kickstarter doesn’t fund the project this time around, I’d hope that the next time it get proposed we can see the value of it and get it funded and off the ground because we sorely need easy access to things like this to combat the hedgehog pundits on any side of debates about arts sustainability!